"The Politics of Faith in America"
Ray Suarez, a senior correspondent for The NewsHour on PBS will speak on "The Politics of Faith in America" at Vanderbilt on March 27. Suarez, the former host of Talk of the Nation on National Public Radio, will speak at 7 p.m. on Tuesday, March 27, in Benton Chapel on the Vanderbilt campus. The lecture will serve as both the spring lecture of Vanderbilt’s Center for the Study of Religion and Culture and the Vanderbilt Divinity School’s annual Howard L. Harrod Lecture. The lecture is free and the public is invited. Video of the lecture will be posted on the Web site of the CSRC at http://www.vanderbilt.edu/csrc/, and at VUCast, the Web site of Vanderbilt News Service, at http://www.vanderbilt.edu/news/. 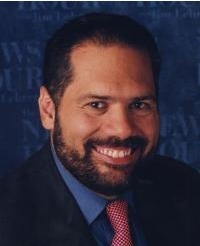 Suarez has been the Washington-based senior correspondent for The NewsHour since 1999. His books include The Holy Vote, published last year, which examined the tightening relationship between religion and politics in America. He is also the author of The Old Neighborhood: What We Lost in the Great Suburban Migration. The CSRC Annual Spring Lecture brings to campus scholars doing creative and distinguished work at the intersections of religion and culture. Howard L. Harrod was the Oberlin Alumni Professor of Social Ethics and Sociology of Religion at Vanderbilt Divinity School. He taught for more than 30 years at Vanderbilt, and the annual Howard L. Harrod lecture was established to honor his distinguished legacy of scholarship and university service.